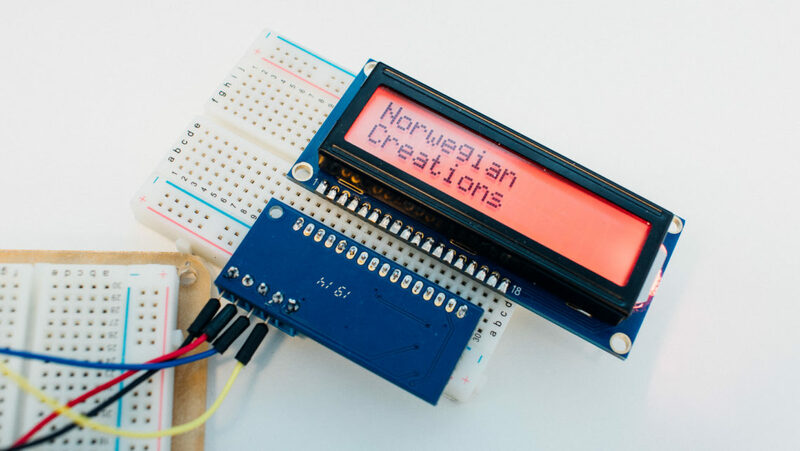 Simple Tut for Serial Backpacks – 4 Wires & a Few Lines of Code | #I2C « Adafruit Industries – Makers, hackers, artists, designers and engineers! 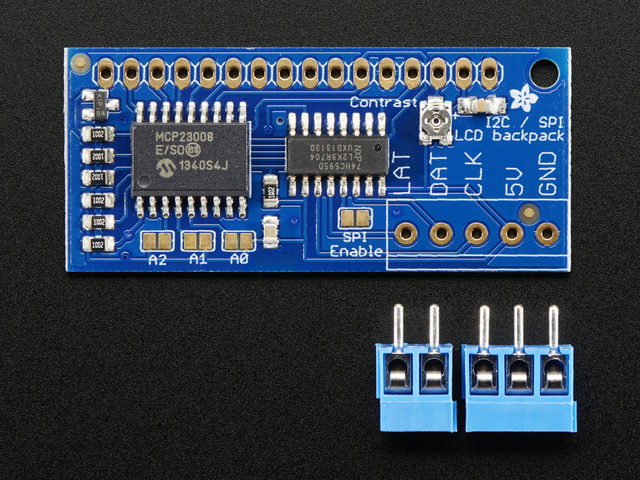 The purpose of a serial backpack is to use less GPIO pins on your MCU or Arduino. Physically speaking, a serial backpack is a circuit board that can be attached directly to the display or connected to the display via wires. The MCU or Arduino is connected to the serial backpack via some kind of digital serial communication (eg. UART, I2C or SPI). This way you can send commands to the LCD with a considerably less amount of GPIO pins.